Updated 10th February: X Factor's Amelia Lily is to replace Marcus Collins as the Narrator in Joseph Tour from 17th February 2015. Lily reached The X Factor finals in 2011 and released the hit single 'You Bring Me Joy' and supported Girls Aloud on tour. She made a brief appearance in Shrek The Musical for Children in Need. 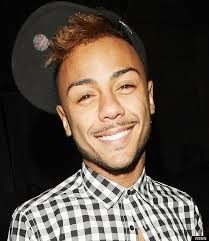 2011 X Factor finalist Marcus Collins has pulled out of the UK tour of Joseph and the Amazing Technicolor Dreamcoat where he was supposed to be taking over the role of Narrator from last night. Rebekah Lowings is now playing the part. According to producers Bill Kenwright Ltd, no reason has been given by Collins or his management for the departure. Collins, who has appeared in shows including a tour of Hairspray (which he left early citing ill health), was contracted to appear in the show until 6th June but "did not show up for rehearsals and then subsequently withdrew altogether. Without ever performing". The tour features another X Factor contestant, Lloyd Daniels, in the title role with Matt Lapinskas as Pharoah.